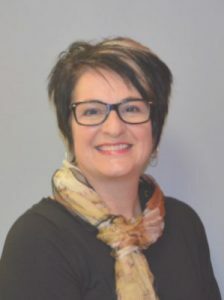 As the Chief Information Officer for St. Lawrence College, Lisa provides oversight for Administrative and Academic technology strategy and operations. Lisa is keenly focused on “students first” and believes that a strategic, responsive, and customer-focused Information Technology department can be a significant contributor to the success of students and staff. With technology at the heart of transformational change in higher education, it is imperative that the IT department be strategically integrated with our teaching, learning and corporate business functions. To this end, she sits on several college committees, councils and advisories to ensure that appropriate technologies and solutions can be considered and integrated in a rapidly changing technology landscape. Lisa holds a B.Sc. degree in Computer and Information Science from Queen’s University and in brings over 30 years of experience in the business of IT and education, focusing the last six years in higher education. Lisa also chairs the Ontario College Council of Chief Information Officers (OCCCIO) which provides advocacy, collaboration and support for Ontario’s 24 College IT departments and their important role in our province’s higher education sustainability strategy.